Use your data to deliver world-class experiences and turn visitors into customers, and customers into advocates. 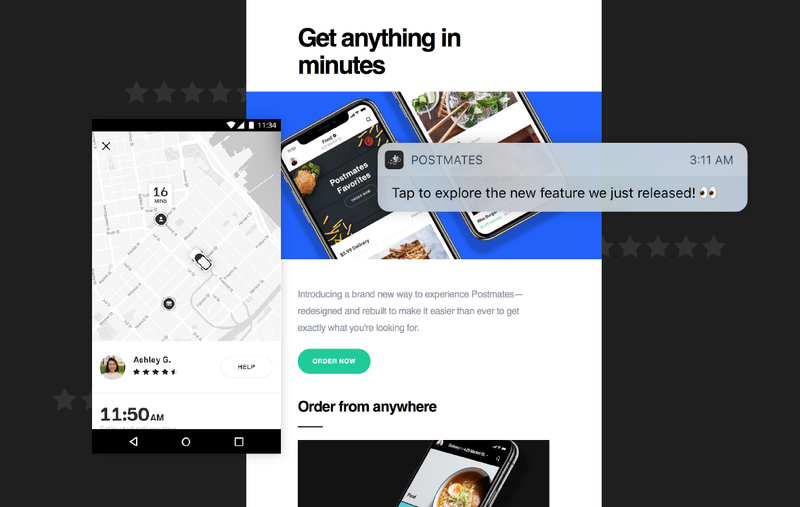 Postmates delivers a world-class customer experience by understanding behavior and optimizing at every step in the customer journey. Gather data from across the business via a comprehensive framework and toolkit. Access a unified view of customer activity across channels, devices, and platforms. Instantly integrate with the leading CRM, customer service, and personalization solutions.